Dolly is not following anyone. I build wicked-smart, diverse, high performing teams that solve big problems and disrupt market paradigms. *Worked directly with Elon Musk, as the primary recruiting leader and executor to grow SpaceX from 200 to 4000 in 5 years. *Supported teams and built the teams that successfully built and brought to market the following products: Falcon 1 Launch Vehicle, Falcon 9 Launch Vehicle, Dragon V1 Space Capsule, Merlin Engine, Kesteral Engine, Draco Engine, SuperDraco Engine, Oculus Ridt-DK2, and Oculus/Samsung Gear VR. *Published on multiple occasions on Forbes, Inc, Business Insider, Huntington Post, and Mashable and others. *Led talent acquisition at Oculus VR from a staff of 25, to just under 200, and through the 2.5B acquisition by fB. The most rewarding element of innovation is the chance to create the world you want to see; the most frustrating is that innovation usually requires you to swim against the current, and swimming against the current is exhausting- you have to accept and embrace that you're going to hit a ton of roadblocks, some you can anticipate and many which you can not. Placing too much importance on 'experience' when hiring a team; experience is as limiting as it is beneficial; it's far more effective to focus on raw drive and talent. 1. Surround yourself with people smarter than you; who are willing to disagree with you. 2. Set unreasonable goals, then approach the edge of insanity to try and actually achieve them. 3. Only work with people you genuinely enjoy working with; everyone is much more effective when they are having fun and have mutual trust and respect. 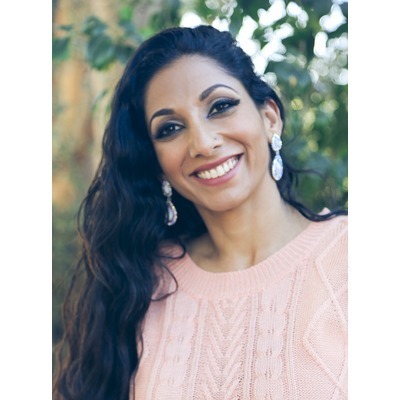 Dolly Singh is the Founder and CEO of Thesis Couture; a fashion-tech company bringing together a remarkable team of technologists and experts from fashion, architecture, medicine and engineering to reinvent the iconic stiletto. Offering high-end aesthetic looks with an advanced internal architecture developed using structural design and advanced materials the team is creating the world’s first high-performance + high fashion, high heels. Dolly was formerly the Head of Talent at Oculus VR, a disruptive gaming and virtual reality technology company which was recently acquired by Facebook for $2B+. She worked directly with the company founders to help build a best in class team and talent practices to support the business in preparation for the launch of the revolutionary digital platform, the Oculus Rift. Previously she was the Head of Talent Acquisition at SpaceX, where she was responsible for talent across all engineering (software, hardware, electronics, propulsion, structures, launch and test), operations, and business teams; and worked closely with the company CEO, Elon Musk, to grow the company from ~200 to almost 4000 in 5 years. Prior to SpaceX, she was the owner and managing principal at a boutique consulting firm with Fortune 100 clients in the aerospace, defense, and biotechnology sectors. Her experience spans all aspects of human capital with an affinity for disruptive entrepreneurship models. She is graduate of the University of California, Los Angeles, and currently resides in southern California with her husband and their four children. Dolly was mentioned in a VatorNews article "Video: When will Tech look like LA? " Dolly was mentioned in a VatorNews article "Meet Thesis Couture, creator of a new kind of high heel"
Dolly was mentioned in a VatorNews article "Thesis Couture's Splash Oakland 2015 winning pitch"
Dolly was mentioned in a VatorNews article "Today's Entrepreneur: Dolly Singh"
Dolly shared lessons about entrepreneurship.